Contact any of our members. Check out the events that are coming up! Click Here to make payments or donations. Our main goal is to provide St. Clair and the surrounding communities with the tools needed to advance the economic, industrial, professional, cultural, and civic welfare. We also provide comprehensive assistance to those who wish to relocate to the area, including information regarding activities, restaurants, and more. Whether you're a permanent resident or a recent transplant, we encourage you to attend one of our bimonthly Chamber Network Meetings to see what's going on in the area and learn more about upcoming events. 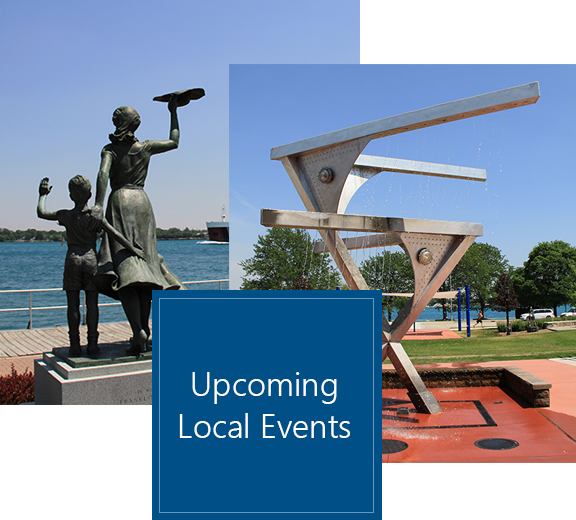 Stay up-to-date on local news and events in the St. Clair area by browsing our site resources. Let us help you discover the many benefits of living and working in St. Clair county! 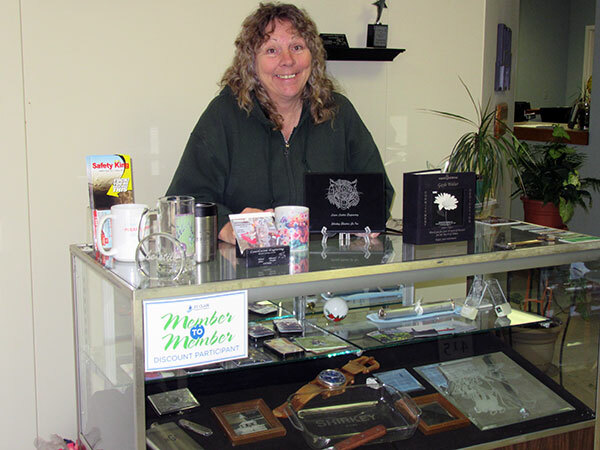 This April we are very proud to shine our spotlight on Pat Shirkey from LaserLectric Engraving, 188 E 14th St., Marysville. Pat opened her business in June 2008 by engraving asset tags for her family's business. She has her first dollar framed, and has grown her business to include: Engraving of wood, glass, acrylic, and some metals. Embroidery, and Dye Sub for tiles, cups, plaques and signage. Pat has been an outstanding member of the St Clair Chamber for years, and provided the beautifully engraved trophies for our Oscar presentations this year at the annual dinner. A direct quote from Pat "I come into a Chamber network meeting - and the minute I walk in the door and see all of the friendly faces - It's a great way to start the day!" Stay up to date on chamber news and events!